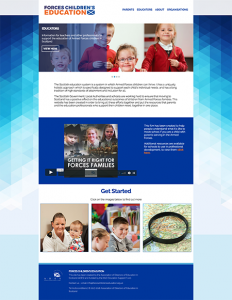 The Scottish Government has produced some useful resources for service personnel and their families moving to Scotland. Available online or in hard copy it provides practical information on topics such as housing, education, healthcare and employment. Designed to help with what you need to know about your move, this free booklet helps you to research what matters to you most. 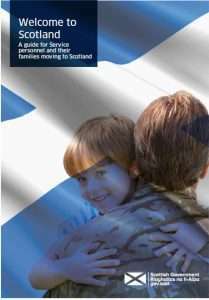 To also ensure you are fully supported on your move to Scotland, please let your local council know that you are members of the armed forces community and this guide can share links and contact details. Argyll and Bute also offer resources and downloadable booklets. 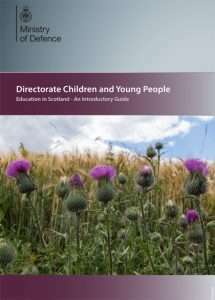 There is also an online guide available – Understanding the Scottish Education System, written for parents by the MOD’s Children’s Education Advisory Service.